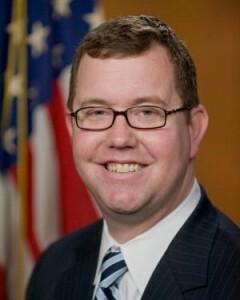 The Justice Department’s highest-ranking openly gay leader is stepping down to explore jobs in the private sector. The department’s No. 3 official, Stuard Delery, has served as acting associate attorney general after rising the ranks since starting with the DOJ in 2009, NPR reports. Delery was a top counterterrorism expert and also agreed cases challenging the Defense of Marriage Act. Delray also investigated financial scams, voting rights and tainted food and medicine. “We can all take pride in the many ways he has helped to make this country more fair, more equal, and more just,” Lynch said. Bill Baer, who leads the department’s antitrust division, is expected to replace Delery. Posted: 4/6/16 at 8:26 AM under Milestone, News Story.